EEEEEEEEP!!!! This shiny delight is pretty enough to eat up. Just look at her!! Yummy, right?!? I received this beaute over last Christmas and it was one of my fave gifts of the year. This pastel green always looks retro and delicate; it’s very ladylike. It is one of the many sweet-colored Candy Bags that Furla offers. If you like this one, check out the ombre colored ones, those are super sleek, or even the sophisticated jet black one makes my mouth water. Hands down, this is one of the prettiest purses. And these smell so good!! I could go on, but I will spare you! 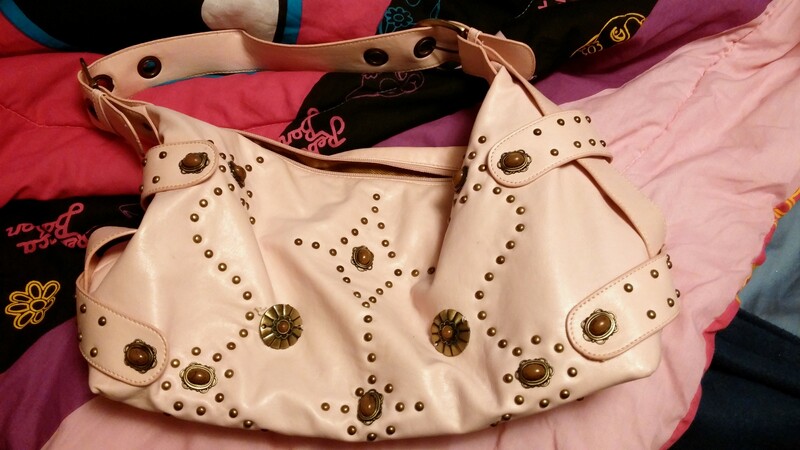 This purse was all over the pages of Teen Vogue back when I was in middle school. Yes, middle school! It may be older, but it is awesome and hands down one of my faves. I love purses so much and I know that larger ones are trendy but this is one I will never part with. I remember Lindsey Lohan modeled for this bag back in the day. It was before she turned into the notorious, botched faced, bad egg that we know her to be these days. Lol. I am kidding, she’s not that bad. But, that’s enough about that!